First of all, it should be said that cryptocurrencies are NOT an investment. Classic investments may be gold, silver or real estate that offer stable value. Trading in cryptocurrencies is ultimately gambling. A total loss, especially with established old coins, is almost impossible. However, the exchange rate of digital currencies can fluctuate in the ten-digit range within a few hours. Cryptocurrencies are based on trust. Confidence that the currencies may one day replace the classic cheque money or at least that they will be accepted over a large area along with the classic money as a broad means of payment. Coins such as „IOTA“ already show that large companies are open to the concept of crypto currencies. Large companies such as „VW“ or „Bosch“ already accept certain payments in „IOTA“. Other cryptocurrencies currently still function more as investments, such as the bitcoin. Although you can already pay in certain online shops and many shops abroad also accept Bitcoin as a means of payment – mostly even in regions that are considered economically rather weak. However, many in our „latitudes“ still use it merely as a „secure investment“ (corresponding to crypto market conditions), quasi as digital gold. Compared to other market caps, there is much less in the pot in the entire crypto market than with Microsoft, Facebook or Apple, for example. Compared to the“.com bubble“ at the beginning of the 2000s we are still at the very beginning. The possibility that the entire market could collapse massively exists, but this is also quite realistic with government money. This is shown by the example of India at the end of 2016, where the government devalued many banknotes overnight. The supply of physical grades was so limited that the people suffered so much. Such examples show that, since the abolition of the gold standard (1971), our cheque money too has depended solely on faith and trust. What Happens To Cryptocurrencies In A Crisis? Cases on a smaller scale have already shown that so far point 2 was more likely to occur. The trust seems to be given at the moment. The „case“ of Venezuela shows this very clearly with the state crypto currency „Petro“. Investment giants such as George Soros, the Rothschild family and Rockefeller are also investing in Bitcoin and Co. If big players show confidence, this also strengthens the general trust in crypto currencies. 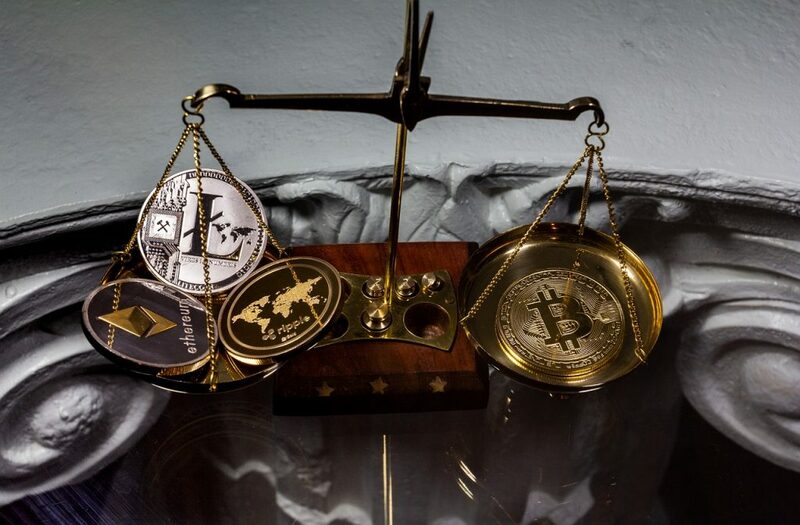 Although the value of Bitcoin has fallen by 50 percent since early 2018, many believe in the future of digital currencies and that legal tender will eventually be replaced. The repetitive crashes caused by countless creation from nothing show that there is always a mistake in our system. The crypto market is trying to go a different way by evading much of the control of the state and the banks. Although certain regulations can be made, as was the case in Asia (mining bans), this does not cloud the confidence that Internet giants are predicting the crypto market. Incredible: The world’s largest broker for Bitcoin margin trading, Bitmex, recently reached a daily trading volume of 1,000,000 BTC (incl. leverages). That is really mindblowing. New traders can use the coupons on www.bitcoincoupons.org to get significant discounts on trading fees. Invest only in what you understand. Read into the crypto currencies. How do they work, what is philosophy? What potential for creation lies in the present digital currency? Invest with money you can lose completely. If a total loss won’t make you sleep, you’re doing something wrong. Write off the money at the time of the investment and enjoy yourself when your investment finally pays off. Never buy with foreign money or loans. Crypto currencies are speculative products. In my opinion, they belong in a good portfolio these days. However, you should set the maximum amount to be invested at a maximum of four to eight percent of your total assets. Define a time when you want to get out. If you don’t know when you want to quit, you lose in the end. Listen to your mind, don’t let emotions like greed guide you. Shop when it’s convenient. Sell when it’s expensive. Admittedly, that sounds simpler than it is. Especially in the crypto market, which shows massive fluctuations within days. The course reacts to current regulations and events. If you give this attention, you won’t miss the chance to win. Use the „Cost-Average-Effect“, for example by shopping every three months. This reduces the risk of buying only at a high. Spread your wealth, don’t invest it all in one coin. Bitcoin may well be the „mother“ of the crypto currencies. This can always be seen in the fact that when Bitcoin rises, everyone else climbs and when it falls, everyone else usually also performs a low-level flight. Nevertheless, at best other coins can win the race in the end. Spread your credit on eight to ten different coins. Always keep some „cash“ to hand so that you can strike a good deal quickly. Don’t check the value of your investment every day. You’re in danger of getting the upper hand on your emotions. Reinvest the profit in each case at the end in order to build up sustainable prosperity. Let the compound interest work for you, because unlike bank accounts, you can still benefit from it in the digital world. So Is It Still Worth Jumping On The Train? It is almost obvious that digital currencies have a future. So yes, it’s worth jumping on the train. But it’s not clear which train car to get into. perspective; which or which coins will finally win the race. Personally, I think that one or more currencies will prevail on a blockchain basis. I am also convinced that the banks of our world will soon be a thing of the past.